M. Leeder Construction is proud of our efforts to champion sustainability in an industry not generally known for it. With our Bagela Asphalt Recycler, we are making the highest use of our precious resources, minimizing greenhouse emissions, and keeping tons of waste asphalt out of our landfills. *Numbers based on tons of asphalt recycled by M. Leeder Construction to date. *"Comparison of Greenhouse Gas Emission for Patching with Recycled and traditional Asphalt" by Tim Marbach, Ph.D. Being responsible to our environment has added benefits! 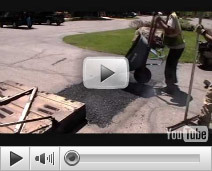 Reclycling asphalt equals cost effectiveness, which we pass on to our customers. 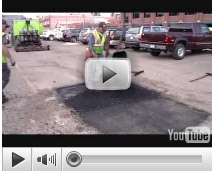 Find out more about recycled asphalt for your construction project, or give us a call if you have questions.